In reading these passages, I am struck by the number of lines which apply to our lives. “Look up at the sky and count the stars if you can.” How many times have we gone outside late at night and gazed up at the sky! How many millions of stars there are! How many fireflies light up the night! How great is God who created all this for us! 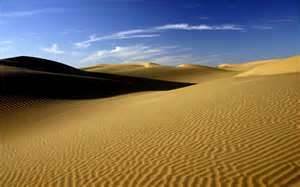 God promised Abram, “To your descendants I give this land.” What a great gift we have in our world! 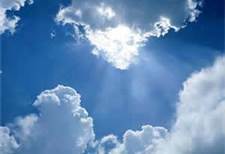 But Paul tells us, “Our citizenship is in heaven. God will change our lowly bodies to conform with His glorified body.” Not only do we have the world to enjoy, but we have the promise of heaven if we follow Him. As Peter and his companions were, we “have been overcome by sleep.” We have this Lenten season to look at our lives and to the voice the apostles heard coming from heaven, “This is my chosen Son; listen to Him.” How will we respond? Let us pray that we remain open to Jesus and His message this Lenten season. Her Hostess explained that the trees were not dead. They were in a resting time and would bud and bloom and leaf when the weather grew warmer. Happily, the woman’s stay lasted 6 months and she witnessed what she had been told. 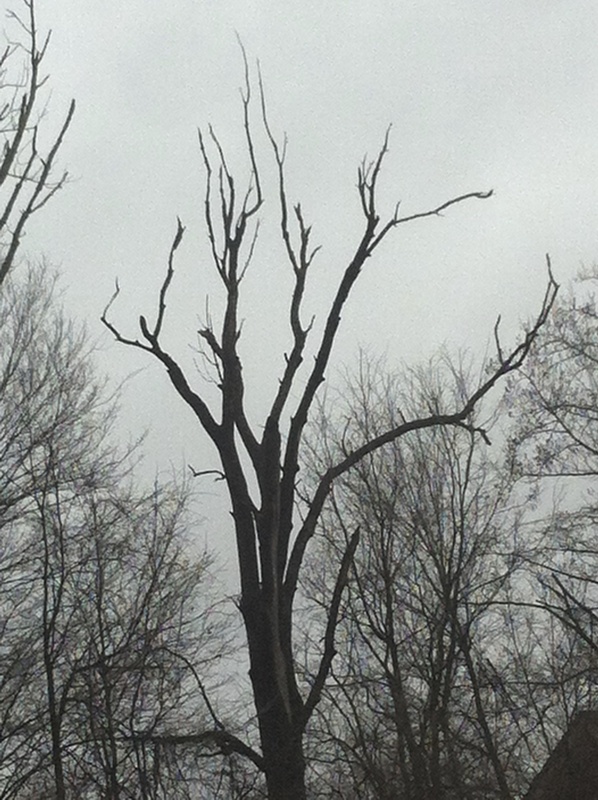 It is once again the season of “dead” trees. Even though we recognize that the tree will be filled with green leaves come spring and summer, they surely do look dead today. We look at their skeletons but know it is a passing phase in the tree’s life. Do you ever feel “dead”? Does it seem like you are so stagnant that you are fit only for being burned? You must be from a different country, my friend, where skeleton trees are useful only for firewood. Keep that at the forefront of your mind. Remember that Jesus loves you as if there were no other person on the earth. Love each other. It is the best way to stay “alive”. 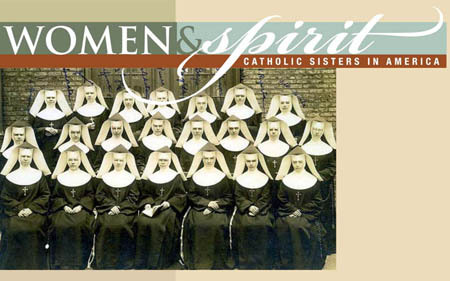 LCWR’s Women & Spirit:Catholi c Sisters in America DVD is a remarkable resource for providing education on the life of women religious and their contributions to this nation from 1727 to the present. On the DVD is a 56-minute documentary, narrated by Cokie Roberts, that chronicles the story of women religious in this country. The DVD also contains a film study guide and digital image catalog that contains all the artifacts and panels that comprise the Women & Spirit traveling exhibit. Some of the videos from the Women & Spirit traveling exhibit are included. This is a resource that has been proven valuable for use within religious institutes, as well as churches, schools, women’s groups, libraries and more. Proceeds from the sale of the DVDs go to support LCWR’s mission of service to Catholic sisters in leadership today. You may purchase the DVD for $19.95 at https://lcwr.org/item/women-spirit-dvd. The Navajo blessing, “May you walk in beauty,” captures the essence of the spiritual journey we are all experiencing as we move toward becoming all that we are called to be. Beauty is the lens through which we understand the world, ourselves, and God. 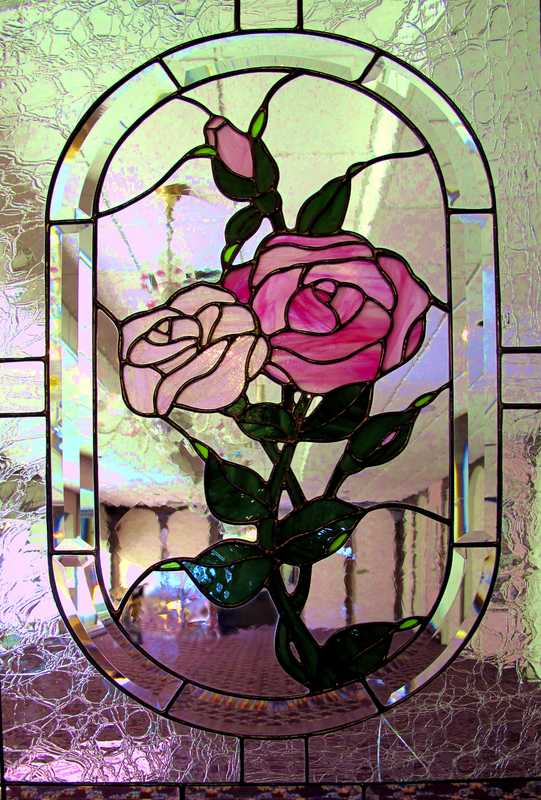 Beauty can be another name for God, as St. Augustine so prayerfully says, “Late have I loved you, O Beauty, so ancient and so new.” The presentations will focus on our vocation to imitate God in action by recognizing and bringing forth beauty in our lives, in the world around us, in many, sometimes surprising ways. On Saturday, March 9th, we will be holding our annual Women’s Day Conference on this theme of Beauty. $45 includes a delicious lunch, an inspiring keynote presentation by Sister Norma Rocklage, OSF, and breakout sessions offered by Sister Patty Campbell, OSF, dietician Kathy Cooley, and artist Lois Jansen. This is one of our most beautiful days of the year! RSVP to center@oldenburgosf.com or 812-933-6437. Multigenerational participation is encouraged! Invite your best friend, mom, daughter, granddaughter…! Keynote: S. Norma Rocklage, OSF, will show how we can find beauty inside ourselves and in the world and peopel around us. Using poetry, stories, and images, S. Norma will help us become more Beauty Conscious — God Conscious — in our ordinary lives. S. Patty Campbell, OSF, will share the beauty of self-discovery through the process of creating mandala art. Participants will create mandalas! Kathy Cooley is a dietitian at Margaret Mary Hospital. She will share how our food choices have a far reaching effect on our health and beauty! Lois Jansen is an artist at http://www.smallsmallacts.com. Through photography she will engage our visual sense and help us see to the heart of our spiritual journey through the beauty we attend to within & without! RSVPs must be received by Tuesday, March 5th! Reserve your spot soon! 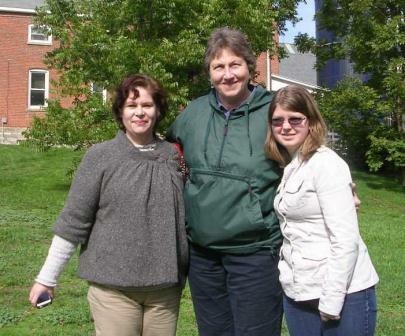 Begin your Holy Week with the Sisters of St. Francis of Oldenburg, IN. The next Come and See Weekend is from Friday evening, March 22, through noon on Palm Sunday, March 24, 2013. For more information or to register contact S. Joan Miller, OSF, Vocation Director. Christians throughout history have defined the word “prophet” in biblical terms as those who have been chosen by God and gifted by the Holy Spirit to share God’s message with the world. Other responders provided names of prophets, including Kahlil Gibran and Thomas Merton, and still others defined what they understand prophets to be, including: teachers, oracles, messengers of God. Beginning on Thursday, February 21st at Oldenburg Franciscan Center, Sister Barbara Leonhard, OSF will be facilitating a four week series on the Prophet Jeremiah and the role of prophets in our world today. In this OFC series, Sister Barbara will use the Prophet Jeremiah as an example to encourage participants to look anew at the dual role of a prophet. February 21st: The role of a prophet: the difficulty of being open to the prophetic message. February 27th: Jeremiah: a prophet in a time of crisis. 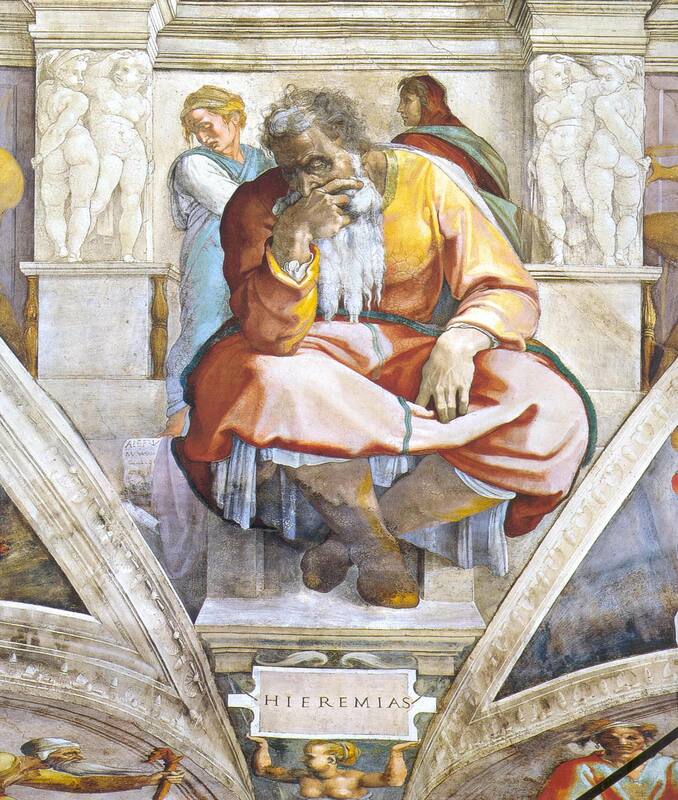 March 7th: Jeremiah: a prophet who gives expression to the shock and grief that accompany great loss. March 14th: Jeremiah: a prophet who expresses hope in the midst of crisis. When we begin to understand ‘being a prophet’ in terms of being truth tellers and advocates for social responsibility, it can help us to identify our own unique opportunities for prophetic living – particularly when it comes to addressing issues in local healthcare, education, community development, and simply being a good neighbor. Individuals of all faiths and professions are invited to attend this series. Community & business leaders are encouraged to participate! For additional information, please contact Angela Nevitt Roesler at aroesler@oldenburgosf.com, 513-543-5368, or visit the OFC website: http://www.oldenburgfranciscancenter.org. RSVPs may be directed to Annette at center@oldenburgosf.com or 812-933-6437.